I’ve been listening to archived John Piper sermons on prayer. The Bible’s stunning truth about prayer hit me afresh this morning. We don’t understand WHY the all-powerful God, the One who created every visible molecule in the universe as well as everything that is invisible, says He waits on us to ask. Only that He DOES…command that we pray, that we ask Him for what we need and want. Note to Maria – Don’t spend any energy chewing on the bone of how come – just revel in it. The fact that He who created all things at His command should invite us to participate with Him should STUN us! After we pick ourselves up off our face, we should then focus on the truth that James announces. But an obvious question emerges if we try to formulate James’ truth claim into a syllogism in order to think it through. Do we apply James’ statement universally (ALL versus SOME) or as referring to a particular group of people? Here’s what it looks like when I write it as a universal truth. Hmm, does that logic square with how you have experienced reality so far? Are there situations in which you have prayed to God and have yet to receive? Or conversely, has God given you gifts for which you didn’t ask/pray? I think all of us can attest to circumstances when despite LOTS of prayer God has not supplied the healing, the job, the baby, the money, the spouse or the resolution. As well as times when He ‘out of the blue’ graced us with a surprise blessing, both unanticipated and unasked. In analyzing the above syllogism, we would say it is logically valid, that the premises are laid out in a correct order, but the conclusion is not true. Why? because the subject in Premise 1 falsely includes ALL people in the world. So just using one circumstance in my life as a counter-example, I can prove that the conclusion in this second syllogism is not true. It’s also not valid. Why? Because the conclusion overreaches the facts given in Premises 1. This first or major premise describes only one of two categories I’m going to call ‘LACKERS’ – those who haven’t prayed. There is the category of ‘LACKERS’ who have indeed asked God for what they want. So even though Premise 2 is true (you don’t have what you want) we can’t be sure which group of ‘LACKERS’ you fall into. Bottom line? I don’t know why God hasn’t answered my many prayers, YET. But I do believe the Bible is authoritative. I know that God commands us to pray. I also know that He is good. So there I rest AND I will continue to pray. What about you? “Nothing comes from nothing,” sang Julie Andrews in my favorite film of all time, The Sound of Music. And that is a true statement! If all there ever was, was nothing, then that is all that would be right now! But where the Maria character goes with her conclusion is debatable. And as a Christian, I would assert that it is unsubstantiated and false. Let’s think about the possible argument setups. c) God is the source of ‘all good gifts’, one of which is ‘this something good’. So which precipitating event for Maria & the Captain’s relationship are you or I going to pick? It all depends on one’s worldview. What is a worldview? It is a particular philosophy of life or conception of the world. I’ll leave you to work out your own conclusion. What astonishes me is how long it took for me to grow aware of the lyrics to this song. Throughout the numerous times I’ve watched the movie or listened to the music, I remained caught up in the happy evocative sentiments. NEVER did I consider the import of the words. It’s clear that a large portion of our world operates out of a secular worldview, whether material or immaterial. AND, it’s a story easy to absorb and accept without thinking or questioning. 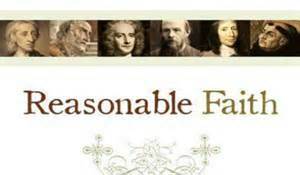 Evidence-based faith system – does that sound like an oxymoron? If you’re like a lot of scientific rational people, you might think so. And lest you think that the ‘rules’ changed in the New Testament, Jesus himself invites His hearers to evaluate Him based on the evidence, i.e. His miracles or signs. So, where does faith come in? Good question! Faith is a tricky word. 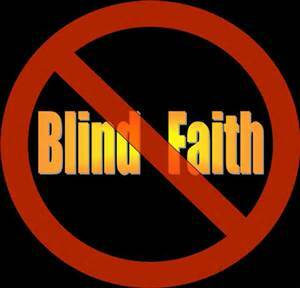 May non-believers think that Christians base their beliefs on a type of ‘blind’ faith. They would describe this as believing DESPITE the lack of evidence. But FAITH can actually be translated by two Greek concepts. There is PISTIS (Strongs # 4102) which refers to convictions or beliefs. 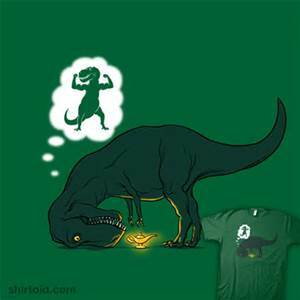 That is called wishful thinking. Do you have to have 100 % certainty? Of course not. That doesn’t exist in this life in ANY arena. 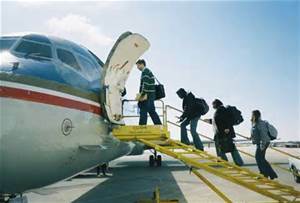 When I buy a ticket and board an airplane, I am trusting the evidence of previous flights’ safety records. I have to make a faith-based decision to get on that plane! So don’t think you have to check your brains at the door to investigate the claims of Christianity. This religion is easily falsifiable. All one would have had to do to sink this world view would have been to produce the body. DID rise from the dead. And there WAS an empty tomb. And Jesus WAS SEEN by more than 500 people in a different but recognizable body (nail holes and all) during a period of 40 days. And millions of people have been convinced of the truth of Jesus and His claims to put their trust in Him. Question: What would it take for you to trust Him today ?